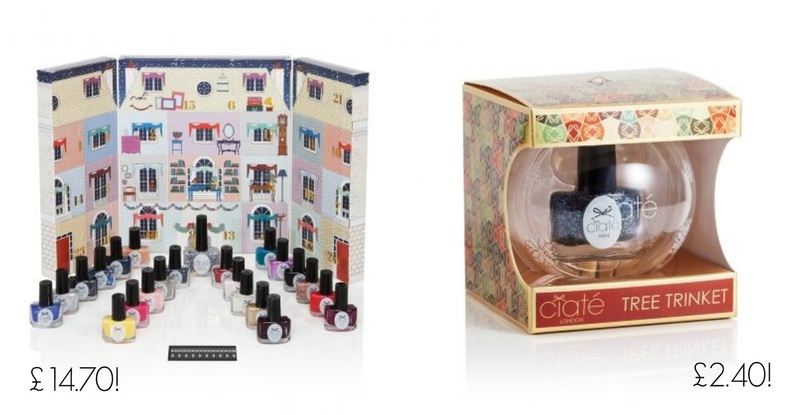 If you wanted to get your hands on Ciate's Mini Mani Manor advent calender but couldn't afford (or didn't want to) spend £49 on it this is just a quick post to let you know that it has been reduced right down to just £14.40 over on the Ciate website. I picked up last Christmas' version at the Clothes Show live (2013) for £10 and for that kind of price it's well worth it. They also currently have all of the Tree Trinkets now reduced down to just £2.40 each from £8. So whether you want to keep them for next year to hang on the tree (but bear in mind the varnishes will be a year old by then) or you just want to whip the nail varnishes out to use now, I think it's a fab bargain. I apologise if any of these have sold out by the time you get to the website, but I just had to let you know the bargains were there in case you haven't checked the sale. Will you be grabbing any of these in the sale (if they're still there)? The baubles are a bargain. I got a Mavala one & it was so sweet. Im tempted to get a couple of the Ciate ones. Have you treated yourself to any?